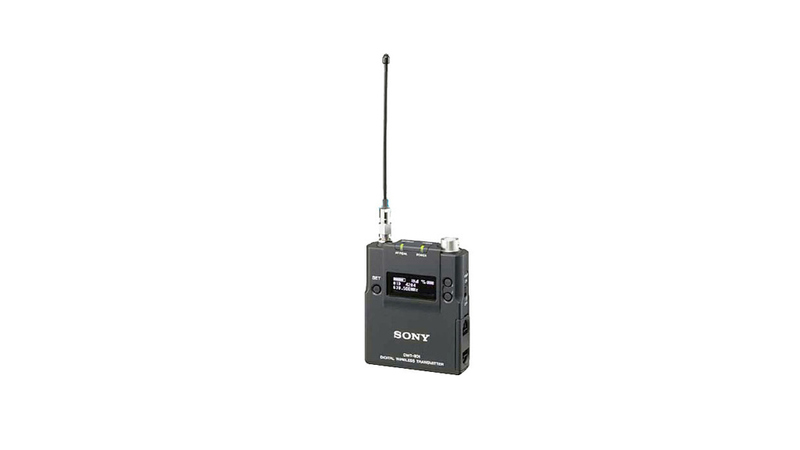 The Sony DWT-B01 Digital Wireless Bodypack Transmitter is intended for use with Sony lavalier microphones such as the ECM-77BC/9X and features digital audio processing for lower noise and longer, efficient range. Up to three selectable output power settings are provided for maximum results and improved battery efficiency. Two AA alkaline batteries power the DWT-B01 for up to 10 hours at the 10mW power setting. Additional features include an input attenuator, RF frequency selection, RF power output, Audio LCF frequency and a power sleep mode (in the transmitter) that can be remotely controlled from the DWR-S01D digital wireless receiver.